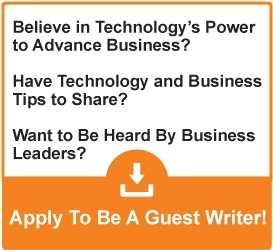 Most companies are either already on the cloud or are planning a move. These companies aren’t moving to the cloud just because they want something new, but because Cloud solutions provide many benefits that cannot be found anywhere else. We have experience in Cloud Migrations, and we can help you move to the cloud quick and easy. See more information on cloud migration, or contact us directly. There are many beneficial technologies available that companies just didn’t use simply because they cost too much. Financial departments have no problems supporting moves to the cloud though, because it saves the company so much money. Yes, the cloud provides 100 things that other solutions cannot, but it does the same at rates lower than any other solution too. Why does Cloud come so cheap? The simple answer is economies of scale. Anything, if you produce it in a large quantity, costs much lower than anything made to order, or on a smaller scale. It’s one of the main principles of production and economics. Cloud solutions bring economies of scale to computing and storage. Instead of setting up a small storage and computing configuration, you simply buy a subscription from companies that have a stellar enough infrastructure to support hundreds of thousands of companies. Cloud solutions provide scalability, something hard to get with any other solution. Your company can purchase just the amount of computing and storage power it needs, and pay for just that. When more performance is needed, you can simply change your subscription and get more, without any capital expenditure needed. This becomes very useful for seasonal changes. If you are running a gift store, you can simply buy more bandwidth and computing power for the holiday season, and then go back to a lower priced plan once it is over. Cloud’s disaster recovery features are so strong that there are many companies using cloud solutions purely for disaster recovery purposes. If you use a cloud solution, disaster recovery may just be a click and a few minutes away. Compare this to having your own configuration – disaster recovery in that situation means hours of downtime and large financial losses. Maybe the weather conditions will not allow people to reach your office. Maybe someone needs access to files but they are in another country. Cloud solutions ensure that no matter what is happening at the physical location of your office, your employees can keep going on helping clients by providing access to data and services from anywhere in the world. Cloud solutions have much better security than in-house systems. This can be attributed to economies of scale too. Small-medium sized businesses cannot afford to splurge on high-end IT security, but they can afford a cloud solution from a major company, and the cloud provider will have better IT security than even the biggest corporations. 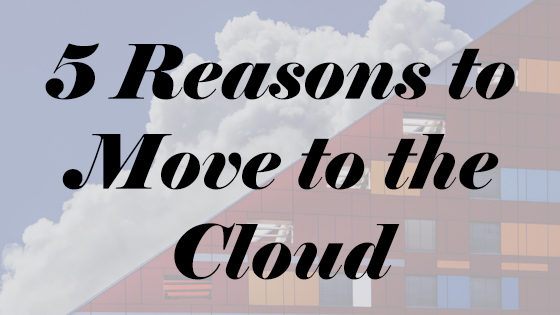 There are many other reasons too – you get features which just aren’t possible with an in-house system, you don’t have to update anything as the cloud updated itself, and much more.